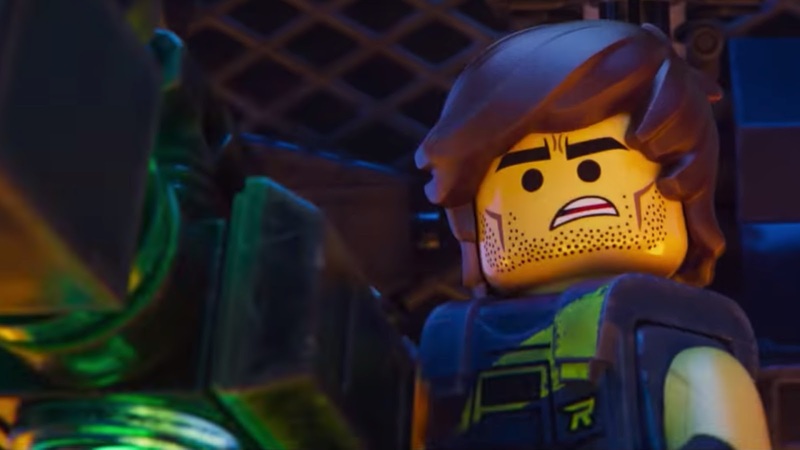 The trailer for The Lego Movie 2: The Second Part, not only gets intergalactic, it gets kinda meta, too. Picking up five years after the prior Oscar-snubbed hit film, this one finds Emmet (Chris Pratt), Wyldstyle (Elizabeth Banks) Batman (Will Arnett) and the rest living in a world that is decidedly NOT awesome. Things only get worse when Wildstyle and the gang are kidnapped by Queen Watevra Wa-Nabi (Tiffany Haddish) and only Rex, as the only Master Builder, who can save them. What's interesting about Emmet's journey through the cosmos is his encounter with Rex Dangervest, who is clearly a spoof of every heroic character Pratt has ever played. While he seems to be the stereotypical action hero, the film is actually set to explore why such stereotypes exist and how they are marketed to boys and girls differently. It's going to be interesting to see how that plays out, and if the message gets across without compromising the humor, something they were able to pull off with ease in the last movie. Also featuring the voices of Alison Brie, Charlie Day, Nick Offerman, Stephanie Beatriz and Arturo Castro, The Lego Movie 2: The Second Part opens February 8th 2019.